The Aluminum Shots offered by us are perfect for use when required to clean the surface of non ferrous metal throwing parts. These are commonly used to make prevalent quality aluminum wires. 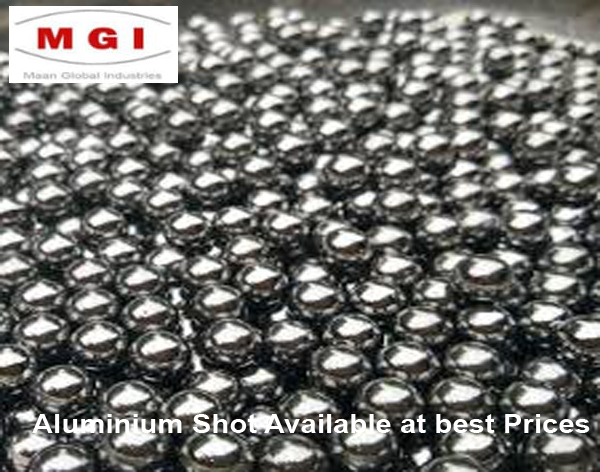 Our Aluminum Shots have an impeccable complete and are accessible at focused market costs. These Aluminium shots are light in weight and are of little standard size that makes these convey compelling usefulness in steel making process by giving better degassing impact than metal and furthermore in enhancing its general complete quality. Some different applications incorporate shot blasting, shot peening and in addition in procedures for evacuation of paints. We additionally guarantee that all aluminum items are likewise of unadulterated aluminum review and convey ideal usefulness support. Appearance is bright,column frame. It is utilized for expelling oxidation skin, burr, killing surface deformity, evacuating pressure, scratching, unknit, fortify, aversion rust before painting of metal die casting, equipment device, hardware producing, car save parts, device, siphon valve industry. The major innovative index.It is additionally connected in shot blasting treatment. Other use cleaning of casting, fashioning, sand expulsion of casting.